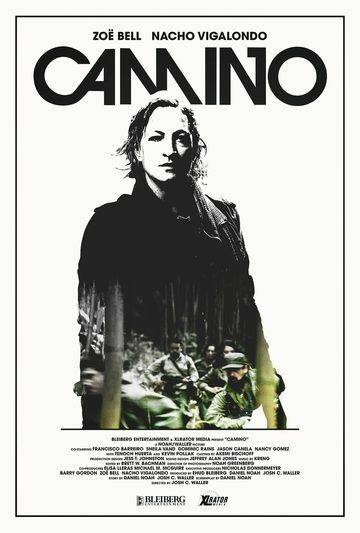 Set in the mid-80s, during the Medellín cartel’s power stranglehold on the country, acclaimed photojournalist Avery Taggert (Zoe Bell) takes a job in the jungles of Colombia. She documents a group of missionaries distributing goods throughout villages in need, who are led by a man named Guillermo (pitch-perfect portrayed by Spanish director Nacho Vigalondo). A fairly straightforward job goes awry, however, when Taggert takes a photo of something she wasn’t meant to see—revealing Guillermo to be a sinister fanatic and the missionaries to be savage idealists obeying his every command. Suddenly under pursuit by this group, Taggert is forced to either flee or fight for survival by any means necessary. Known for her career as a stunt double, Bell shines here as an action star, engaging in brutal fight scenes, as Taggert struggles to fend off her would-be killers. With beautiful and terrifying cinematography guided by strong direction from Waller, Camino is an exciting thriller to be enjoyed by audiences.